MoCar is a Spanish family run business located on Mojácar Playa in Almería Spain. 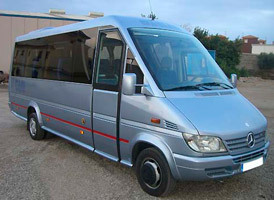 Mo-Car offer a vehicle hire service from the airports of Almeria, Alicante and Murcia. 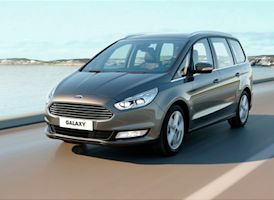 They will also deliver a hire car or mini bus to nearby towns and hotels, if required. They were founded in 1982 and have considerable experience in vehicle hire that includes a wide selection of car hire, a 9 seater mini bus and special van hire. Their vehicles are renewed annually. Mo-Car are located on Mojacar Playa close to TOMAS Supermarket and the horse stables. MARC AUTOCARES are a spanish family run business located in Polomares in Almeria Spain. They are close to Mojacar, Vera, Desert Springs Golf Resort, Valle del Este and Agulion Golf. They have been operating for more than 25 years and have a modern fleet of buses, mini buses, vans and cars that are safe, well maintained and comfortable. Their bus service will pick your party up from the local airports and transfer you to your destination, if you require transfers to play golf courses in the region, this can be arranged.